Maybe it should be your new year's resolution to stop buying cheap, morally questionable clothes, and start dressing like a real man. And while those 23-ounce jeans might cost four times more than what you're used to paying, trust Christian McCann, the proud owner and the mastermind behind Left Field, your money is well worth it. 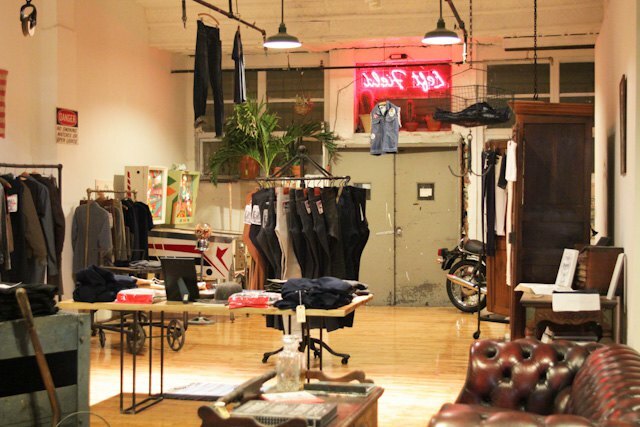 "I love good quality clothes that have a certain sense of spirituality to them," Christian explained to us on one cold night at his new space at 657 Woodward Avenue in Ridgewood. "Forget clothes that you wear for a couple of months and you have to throw them away. These jeans will last a life time." 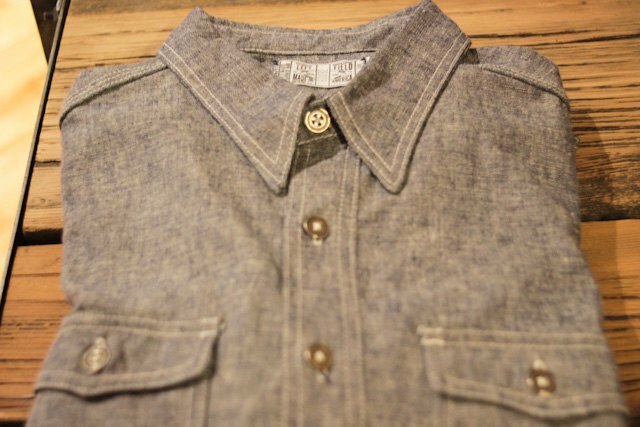 High-end men outfitters brand Left Field has been drawing its inspiration from the military and work styles of the 1940's and 1950's. 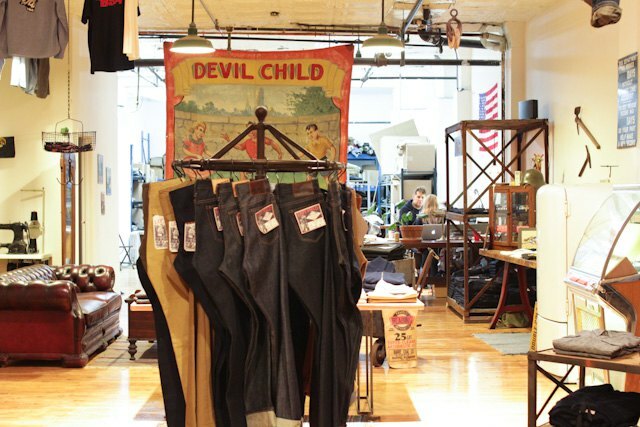 American-made double stitched jeans, vintage military inspired chinos, chain stitch embroidered tube tees, or newly a line of men's undergarments, Left Field is no newbie at the men's fashion scene. 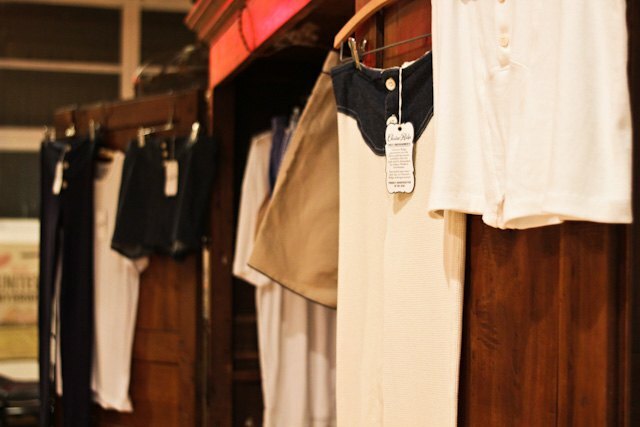 They have been making good clothes for 10 years now, most of the time from an unassuming neighborhood of Ridgewood. 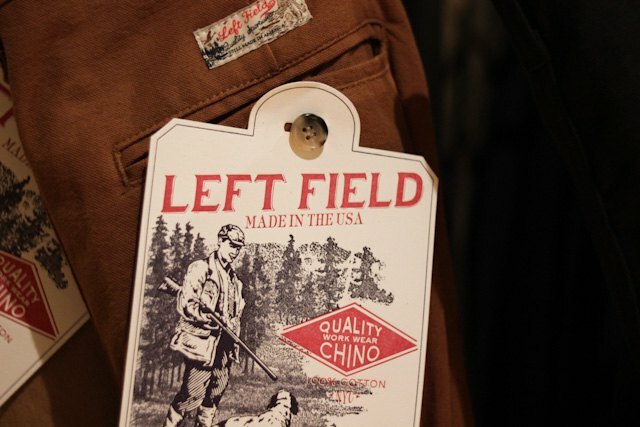 Left Field clothes are sold primarily in boutiques in New York metro area (Blue & Green, Wolverine, Gentry) but have seen some traction in Europe and Japan as well. The new space on Woodward Ave allows Christian to function as his own retail spaces as well, although he doesn't depend on foot traffic, as he told us. So don't look for a storefront window, just find the old-fashioned red neon sign and ring the doorbell. New space at Woodward Ave in Ridgewood is simply epic. Check out the clothing store in the front and the office behind the Devil Child curtain. Touch this shirt and you'll be in heaven. We love how Left Field pays attention to every single detail. Take a look at these beautiful letterpressed tags. Christian explained that it is important to him that every piece of clothing is raveled in a story. 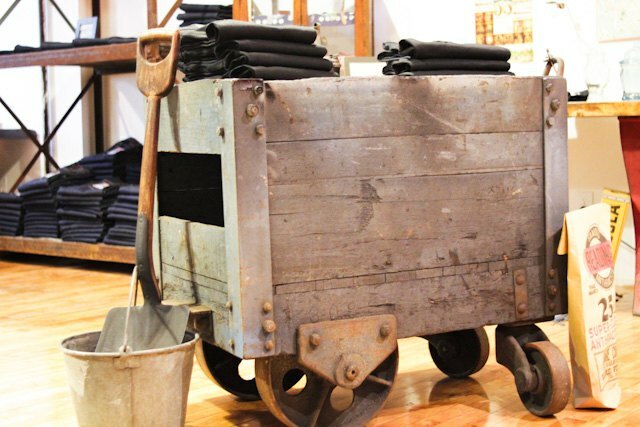 The inspiration for these black jeans (pictured below) comes from historically coal-mining Philadelphia. The Black Maria jeans, as Christian calls them, have rawer vibe than Levi's Gold Rush jeans. The Black Maria was a wagon that used to take dead bodies of the coal miners and dropped them off at the stoop of their houses after the shift was over. 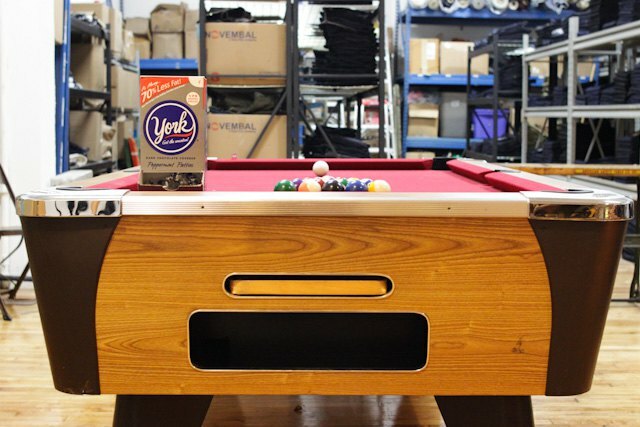 Large space allows for a placement of some awesome man toys. 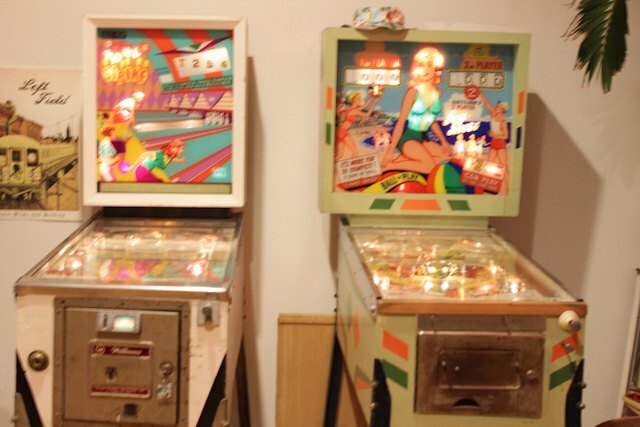 Check out a jukebox from 1954, which contains 100 songs on vinyl records or these vintage pinball machines. 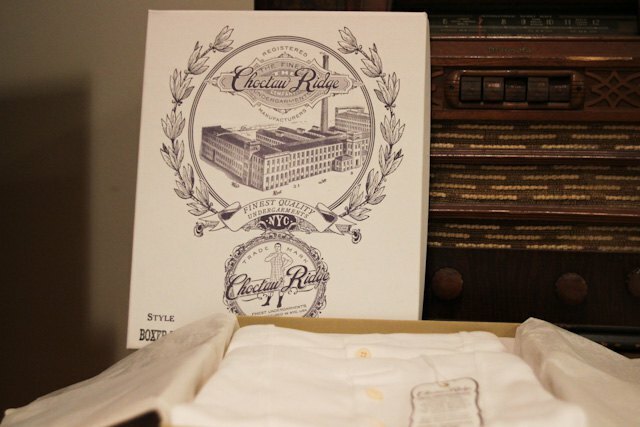 The collection of vintage-inspired undergarments are very comfortable according to Christian. He explained that thanks to their superlux fabric, thin tights and short waist, they have a very brief-like feel to them. Look for longjohns for the winter, bathing suits for the summer and naturally, the boxers for all the time. 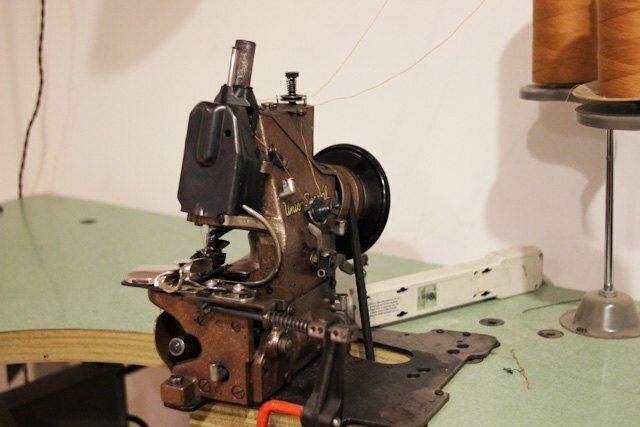 This little thing is apparently super-valuable and Left Field uses it to embroider tees. 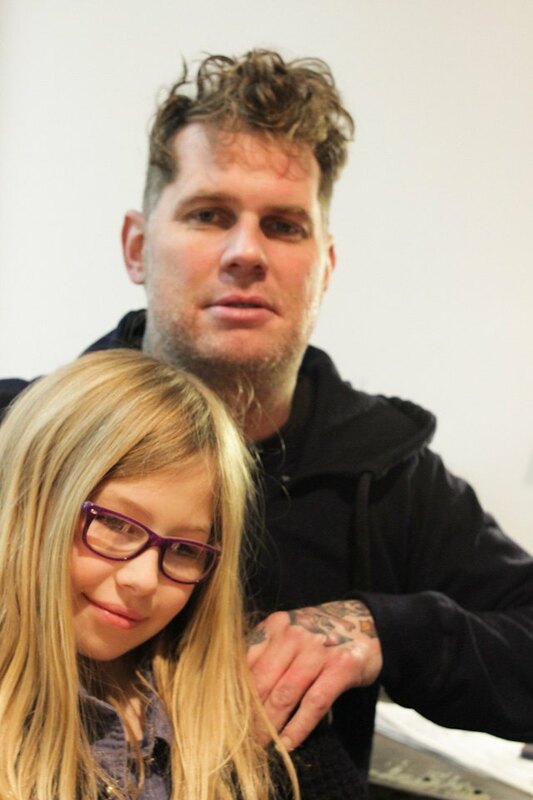 And here is the Owner Christian McCann with his daughter, Grace. Left Field is located at 657 Woodward Avenue, Ridgewood, NY 11385. They are open every work day from 10am to 7pm or by appointment. Call (718) 366-7308.